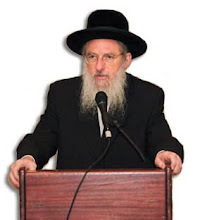 Rabbi Dr. Dovid Gottlieb: "peace convoy"
Hey Danny....yet again a misguided Israeli political and military mission with regard to Gaza that American Jewry will be asked to stand by and support. All over the news Israel will be referred to as "the Jewish State" as worldwide condemnation will pour in. As a Jew I will be on the defensive despite the fact that I have no vote and no say in whatever the politicians in Israel decide. Again, you will no doubt ask for solidarity by Jewish folk worldwide and we will answer for Israeli decision-making. I love Israel as my religious base, but the policies do not reflect my peace loving values. I support Israel with bonds and donations and visits, but the thriving American Jewish experience is independent of it. OK, there's a lot there, and most of it I won't respond to now. But this is one of those moments when I don't think we have the luxury of writing a column over days, printing it out and editing it, sleeping on it and editing it again. Too much is happening, and people are too hurting and too confused for something not to be said. To be sure, there's much more that we don't know than we do. We'll learn a lot in the days and weeks to come. But we do know that this was a tragic day and an excruciatingly painful one in Israel. At the fruit market, and at the dry cleaners, I asked people working there how they were, and all I got was a sigh. And then, "Yom kasheh. A tough day. They're going to eat us alive." They will, indeed, eat us alive. It's taken a full day for the Israeli government to say anything coherent at all, riots are breaking out in Israeli Arab towns, Israelis in Istanbul have been warned by the Foreign Ministry not to leave their hotel rooms, and the international community is raining down condemnation. David - we couldn't disagree more strongly. Israel's actions were "misguided"? Let's take that first. Were there tragic outcomes? Obviously. But "misguided"? Gaza is under the malicious and cynical rule of a terror organization sworn on Israel's destruction, that is holding an Israeli soldier captive in contravention of all international treaties, and that oppresses its own population while even Palestinian witnesses there acknowledge that there is no food shortage. Given Hamas' military objectives, Israel would be crazy not to check what's going in. But Israel had already pledged to pass on any humanitarian goods after they were inspected, and told the boats the same thing. So, no, I don't think that the idea of stopping the boats was misguided. What we know is that on five of the ships, the commandos (among them friends of our kids, by the way) boarded the boats, and there was no resistance and no fighting. On one boat, however, the first soldiers to land on the boat were attacked with metal rods and knives. There's video of it. It's playing all over Israeli and all over the internet. In some cases, soldiers' weapons were stolen and used against them. One was stabbed, apparently in the abdomen. Another was tossed from a desk and trampled when he landed. There were a handful of commandos there, and 600 "peace activists." On Israeli news tonight, the soldiers on helicopters taking them to the hospital were interviewed. They descended the ropes, they said, planning to talk the "activists" into going to Ashdod. Their weapons were not in their hands, but strapped to their backs. "We went into war," one in his 30's said bitterly tonight, "and all we had were toys." They were beaten, trampled, shot (yes, there were bullet injuries) but only after forty minutes of combat did they resort to live five. They were going to get lynched if they didn't fight back, they said. Was I there? No. Do I know what really happened? No. But do I trust these kids and their officers? Yes, I do. As for "peace activists," David, how much do you know about the IHH? It's a terror support group, supported by Turkey (among others) and it was ent to provoke. If they just wanted the goods to get to Gaza, they could have agreed to transfer them to an Israeli ship, or to unload them in Ashdod, as the Navy personnel asked them to. But they didn't want that. They just wanted to break the blockade. Why? For food? Even a few Palestinian journalists with some guts are reporting that there's no humanitarian food crisis in Gaza. No, it wasn't about food. They want the blockade broken so that after that, non-humanitarian items (read weapons) could brought in. Why should Israel allow that? So that they can be better armed the next time we have to send our kids into Gaza? As for "being on the defensive," you "will be on the defensive" only because you totally don't get it. For if you did get it, you wouldn't feel that way. There's only one country anywhere on the planet about which there's a conversation about whether it has a right to exist. Do you ever think about why that is? What, the fate of the Palestinians is worse than that of aborigines in Australia? Or people in the Congo, or Rwanda? Why all the attention on Israel? Do you really not get it? You think that New Zealand just coincidentally decided this week to make kosher slaughtering illegal? You think it's really about humanitarian commitments? Come on. No, David, you really don't have to defend Israel. No one's asking you to. We know that it's too late to expect many Americans like you to assume we're right before you assume we're wrong. As we look out at Jews across the world, we're just assessing who gets Jewish history, and who's so thoroughly intellectually assimilated that they're actually embarrassed that that Jews don't have to continue to be victims. I'm horrified by what happened on the ship, and I'll be shocked if after all is in, we find that Israel made no mistakes. (This was pretty clearly an intelligence failure, at the very minimum, sending those soldiers into something for which they had not at all been prepared or armed.) But if that had been my kid on the ship, and he'd gone in to prevent the blockade from being broken, but had no intention of fighting, and had then been attacked, I'd want him to defend himself. No matter what. I'd want him to come home whole, because that's part of the new Jewish reality that this country is supposed to make possible. The loss of life is tragic. So are the injuries to soldiers, including serious head wounds. But most tragic of all is that the world is so willing to be blinded to what's really going on here. At the end of this excruciating day in Israel, at least given what I know at this moment, I'm saddened but not apologetic. I'm not surprised by most of the world's reactions. But I haven't lost sight of who provoked this, and why they did that. But you're a very smart guy. Why have you?